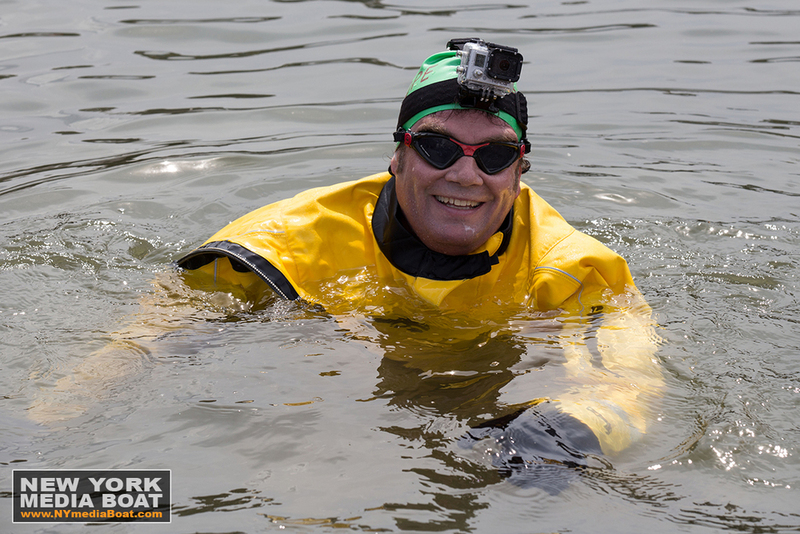 Environmental activist Christoper Swain raised some major awareness this Earth Day by swimming in the toxic waters of the Gowanus Canal in Brooklyn. He calls for an accelerated cleanup of the waterway, currently labeled a superfund site. 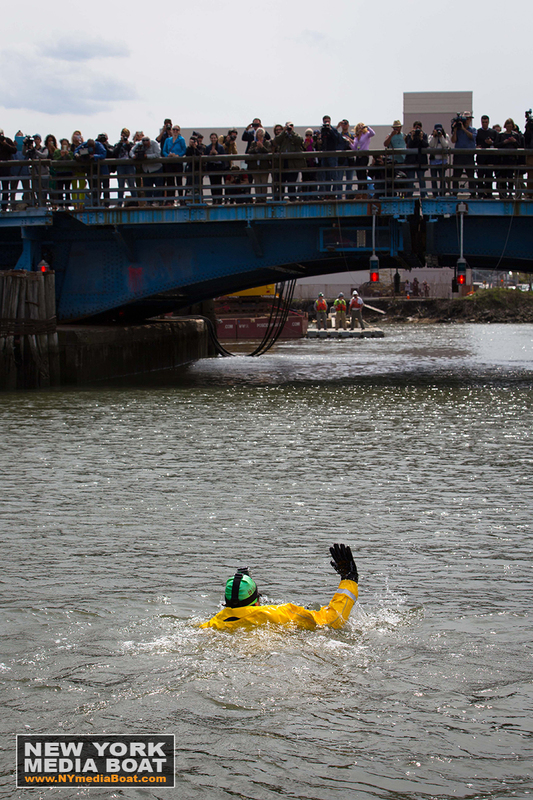 Hundreds of people came out to see this stunt and anxiously awaited Swain, who is thought to be the first person in history to swim the entire length of the canal. Despite health officials’ recommendations and EPA advisories against coming into contact with the canal water, Swain donned his high-visibility drysuit, boots, gloves, and goggles and jumped in. 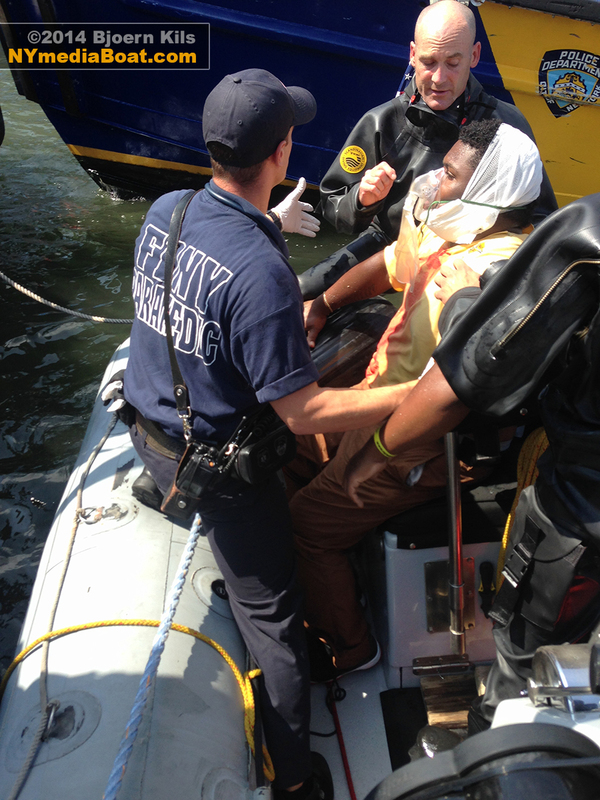 The NYPD SCUBA Team was on standby, escorting him as he swam down the canal, under bridges lined with camera crews, photographers, and supporters cheering him on. 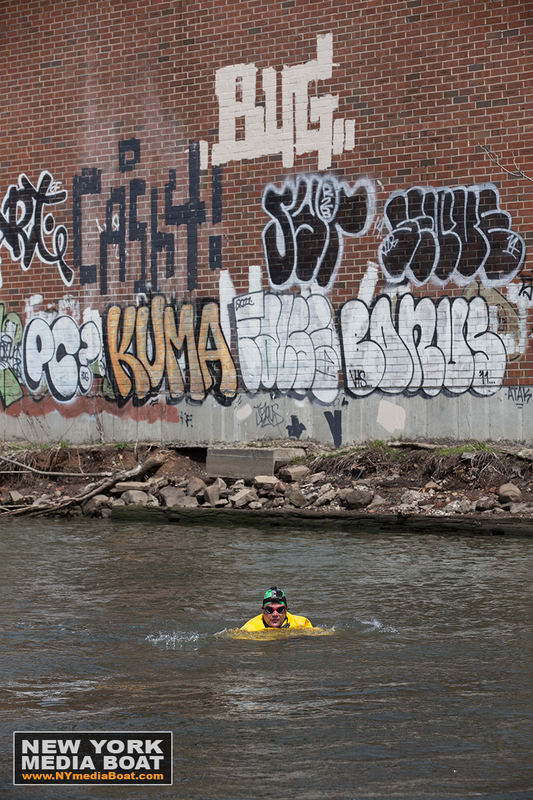 He planned to swim the entire length of the canal, but approaching thunderstorms forced him to climb out early. He still made it some 8,000 feet and gave a press conference, dripping wet, in a Whole Foods parking lot. … as strong west winds gusting over 30 knots kept fueling the inferno. 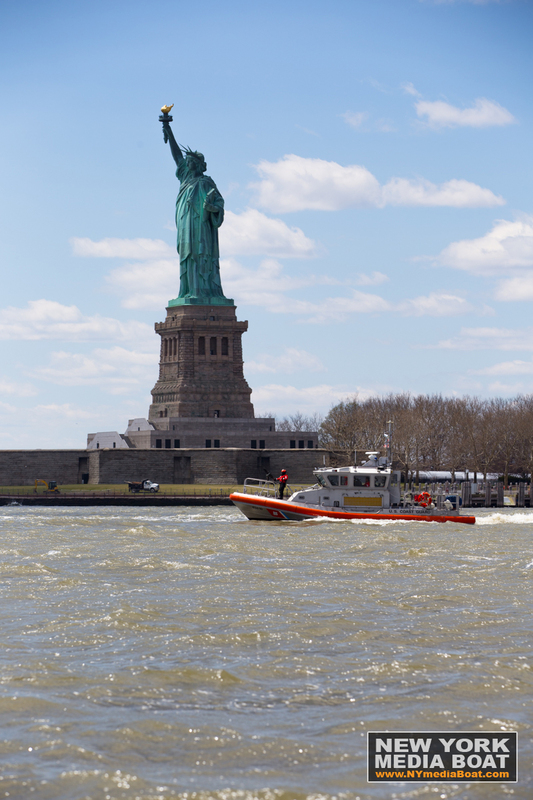 FDNY Marine Units responded to attack the fire from the East River. The 65-foot fireboat ‘Bravest’ and the 140-foot ‘Fire Fighter II’ stationed upwind. …successfully knocking down the exterior wall and fire behind it. The warehouse is said to contain paper records from courts and hospitals, stacked in boxes from floor to ceiling. Twitter posts tagged #williamsburgfire showed embers being picked up as far as 2.5 miles downwind. As firefighters keep dousing the building, the structure is expected to smolder for at least another couple of days. 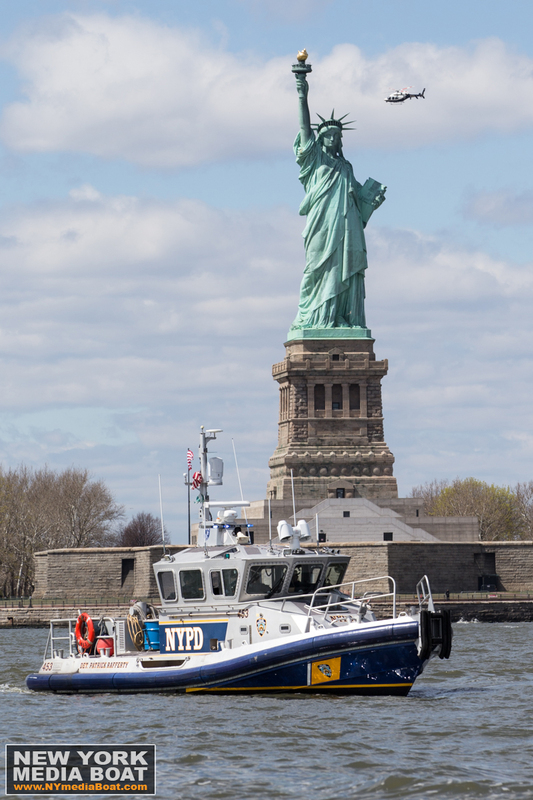 New York Media Boat was on-scene for most of the day capturing images and video of the blaze.